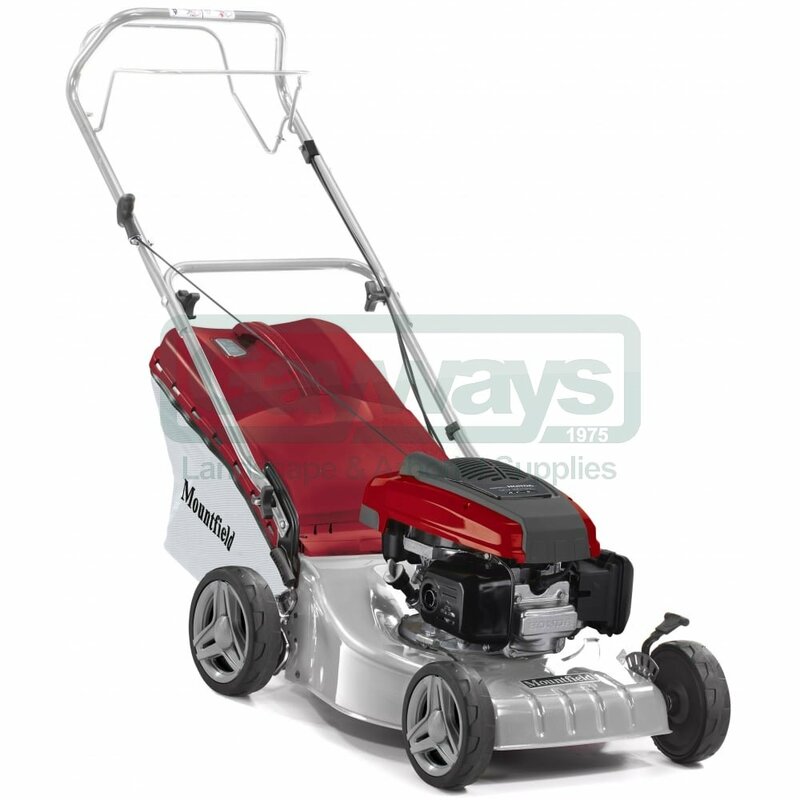 The SP425 has the same great features as the HP425, with the addition of power driven rear wheels. This takes away the effort of pushing the mower; simply pull the clutch lever, and away you go. Release the lever and the wheels stop - it couldn't be easier! The Mountfield SP425 is a general purpose self propelled lawnmower, a 41cm/16" cutting width and a Honda GCV160 OHC engine, with a standard recoil rope starter system. The 3-lever height adjustment offers 5 pre-set cutting positions, from 25mm to 80mm, so adjusting the height of cut is quick and simple. The easy to remove collector holds 60 litres of grass and has a bag full indicator. The mower can also be used without the collector, if you wish to leave the cuttings. Included is a mulching plug, there is no need to collect the grass, you can recycle the grass clippings back into the lawn, saving you time, money and effort.